English serial killer Beverley Gail Allitt was born on October 4, 1968, to her father, Richard who worked in an off-licence, and mother who was a school cleaner. She had two sisters and a brother. Beverley volunteered for babysitting jobs and decided to leave school so that she can take a nursing course at the age of 16 at Grantham College. Beverley worked as a State Enrolled Nurse in the children"s ward at Grantham and Kesteven Hospital, Lincolnshire and killed four children in 59 days from February and April 1991 by administering large doses of insulin to two known victims. A large air bubble was found in another victim. Police was not sure how the attacks on the victims were executed. Nottingham Crown Court sentenced Beverley to 13 life sentences in May 1993 for her crimes/murders and told her that she might never be released because she is/was a " serious danger" to others. Liam Taylor: Murdered: February 21, 1991 - Liam was 7-weeks-old when he had a chest infection and was admitted to the ward where Beverley murdered him. Timothy Hardwick: Murdered: March 5, 1991 - Timothy was 11-years-old with cerebral palsy who had an epileptic seizure and was admitted to the ward. Kayley Desmond: Kayley was 1-years-old when she had a chest infection and was admitted to the ward where Beverley tried to murder her on March 8, 1991. Kayley was resuscitated and shortly after transferred to another hospital. Paul Crampton: Paul was 5-months-old when he had a chest infection resulting in him being admitted to the ward on March 20, 1991. Beverley unsuccessfully tried to murder Paul three times/occasions by overdosing him with insulin a day before he was transferred to another hospital. Bradley Gibson: Bradley was 5-years-old when he had pneumonia and was admitted to the ward where Beverley overdosed him with insulin resulting in him having two cardiac arrests on March 21, 1991. Bradley was transferred to another hospital. Yik Hung Chan (aka Henry): Yik was 2-years-old when he was admitted to the ward after falling on March 21, 1991. He was transferred to another hospital after he suffered from an oxygen desaturation attack. Becky Phillips: Murdered/Died: April 3, 1991 - Becky was 2-months-old when she was admitted for gastroenteritis on April 1, 1991, and Beverley killed her by giving her an insulin overdose. Katie Phillips: Katie was 2-months-old and was Becky"s twin sister. Katie was admitted to the hospital as a precaution after Becky died. Katie had two unexplained apnoeic episodes which lead to her being resuscitated twice. Katie"s unexplained apneic episodes were later discovered to be a result of insulin and potassium overdoses. Katie was transferred to another hospital after she stopped breathing a second time but it was too late as she has already suffered permanent brain damage, partial paralysis, and partial blindness as a result of oxygen deprivation. Claire Peck: Murdered April 22/23, 1991 - Claire suffered from an asthma attack at 15-months-old on April 22, 1991, and was admitted to the ward where she was put on a ventilator. She went into cardiac arrest after being left for a minimal time in the care of Beverley but was revived. Claire died shortly after suffering from another cardiac arrest when she has left in the care of Beverley again and died. Medical staff/co-workers became suspicious of Beverley after Claire Peck died and they realized that many kids/patients had had cardiac arrests in the children"s ward after Beverley arrived. Police discover that Beverley had access to the drugs and she was the only nurse on duty during that attacks where four of her victims died. Beverley pleaded not guilty to 4 counts of murder, 11 counts of attempted murder and 11 counts of causing grievous bodily harm but she was found guilty on May 28, 1993, and was sentenced to 13 concurrent terms of life imprisonment. She is serving her sentence at Rampton Secure Hospital in Nottinghamshire. The judge said that Beverley should serve a minimum of 30 years in jail before being considered to be release because she will not be seen as a threat to the public at the age of 54. Beverley appealed in August 2006, but Mr. Justice Stanley Burnton in the High Court of Justice said on December 6, 2007, that Beverley has to serve the original minimum sentence of 30 years. 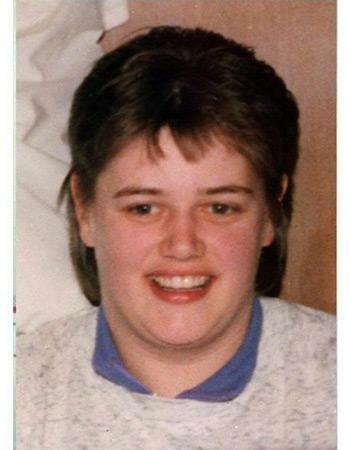 Beverley Allitt serial killer is a female serial killer. Angel of Death is a female serial killer. Beverley Gail Allitt is a female serial killer.